Open House Sunday 12:00-1:45! Panoramic vista! Great value for 14 yr old, all brick home in Ft Thomas! 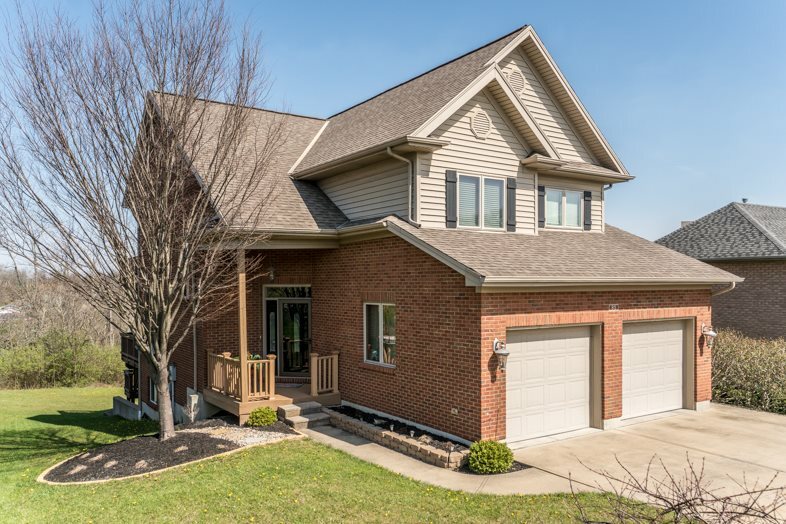 Convenient cul-de-sac located just minutes from downtown Cincinnati. Super easy commute! Open layout, hdwd floors, pretty kitchen w/granite counters & subway tile, stained glass, spacious master suite w/ deck walkout, study on 2nd could be 4th BR. Fin. lower level fam room w/pool table & wet bar. Multi-level deck offer city light views, large patio for entertaining. Front 2 car garage! Back on market due to buyer not selling their home, opportunity is knocking! You'll love it here!